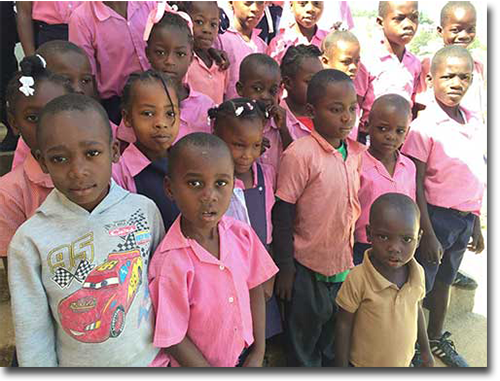 The United Hearts International partners with the EECU (Evangelical Church of United Hearts) in Haiti to provide education and the basic needs of the populations' most vulnerable members. School supplies, food and uniforms are supplied during the school year. Then, during the summer, the families needs are assessed and assistance is provided for them as needed. Classes are held in the local churches wherever possible. In the EECU network, education is emphasized as extremely important and the local church is encouraged to develop it's own system for this. However, in some cases, the children are placed in other private schools in the area. A Principal is employed by the EECU to oversee all aspects of the program. My wife and I began our relationship with the church in Haiti by sponsoring a young girl in their program. I had the opportunity to meet her the last time I was in Haiti. 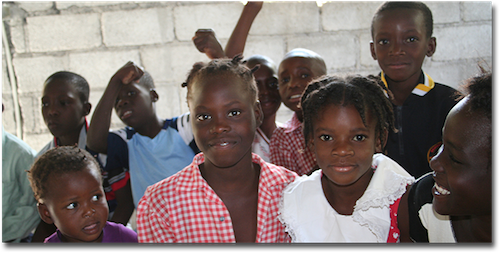 If you choose to sponsor a child through the EECU please consider making the trip to Haiti to visit.